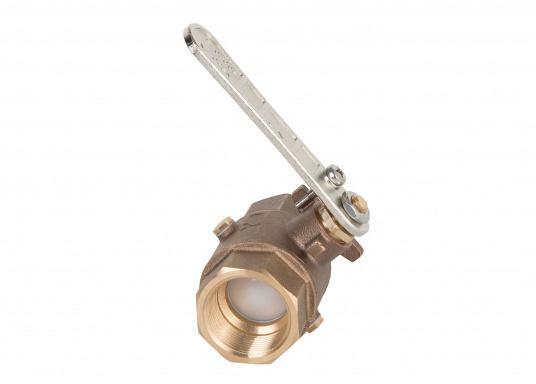 Bronze ball valve. 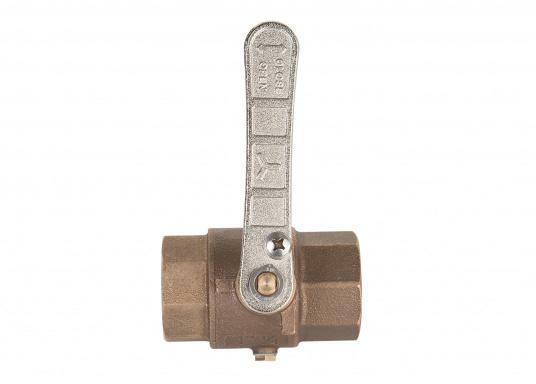 To prevent frost damage, the water contained in the ball valve can be easily drained through the drainage hole. 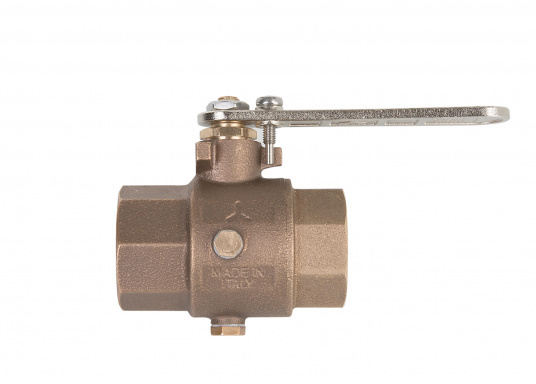 Ball valve with drainage hole 1/2"
Ball valve with drainage hole 3/4"
Ball valve with drainage hole 1"
Ball valve with drainage hole 1 1/4"
Ball valve with drainage hole 1 1/2"
Ball valve with drainage hole 2"
​Bronze ball valve. To prevent frost damage during winter storage, the water contained in the ball valve can be easily drained through the drainage hole. Thanks to the adjustable stop screw, the rotation direction of the lever can be easily changed so the ball valve can be installed in any position. 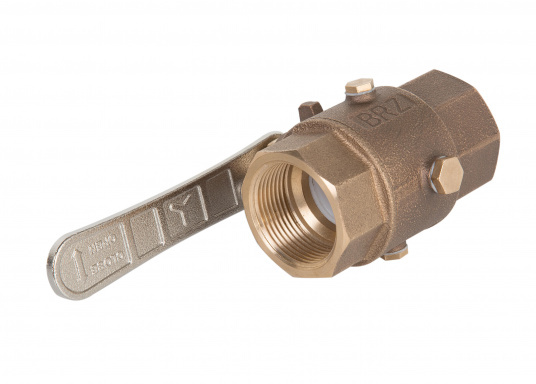 Due to the high copper content in the alloy, bronze valves and fittings are ideal for permanent underwater use.